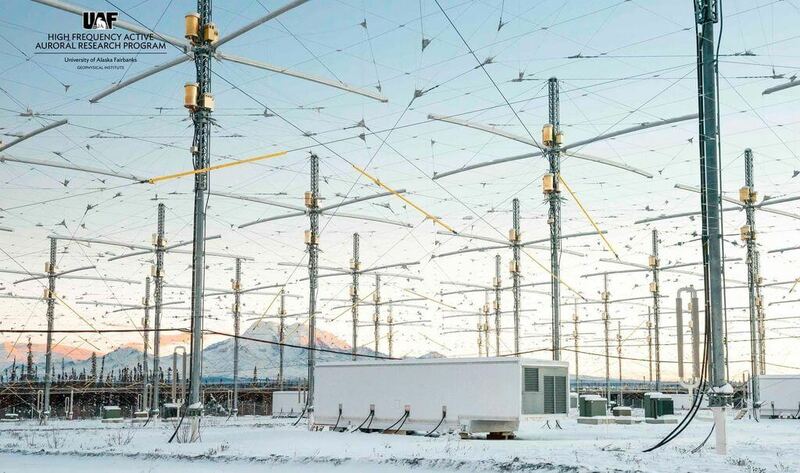 The famous HAARP (High Frequency Active Auroral Research Program) antenna array will be transmitting again from March 25 - March 28, 2019. HAARP is an antenna array which is used to perform experiments on the Earth's ionosphere and thermosphere by transmitting HF RF energy into it. With an HF capable receiver like the RTL-SDR V3 it is often possible to receive these transmissions from some distance away. As HAARP only rarely transmits, it is an interesting signal to catch when it is transmitting. Ghosts in the Air Glow is an ionospheric transmission art project using the HAARP Ionospheric Research Instrument to play with the liminal boundaries of outer space. Pairing air glow experiments in the ionosphere—false auroras creating soft, glowing spots in the sky—with SSTV images, audio and image signals articulated by artist Amanda Dawn Christie will be received and decoded via SDR (Software Defined Radio) equipment by amateur radio operators around the world, and streamed live online for audiences who do not have the equipment or expertise for reception. The first art transmission was sent earlier today, and if you missed it Amanda live streamed the signals being received on YouTube and the recording is available here. Future live streams will be available here. DK8OK has also posted about his reception on his blog. grink has formatted it into a nice table in his post. 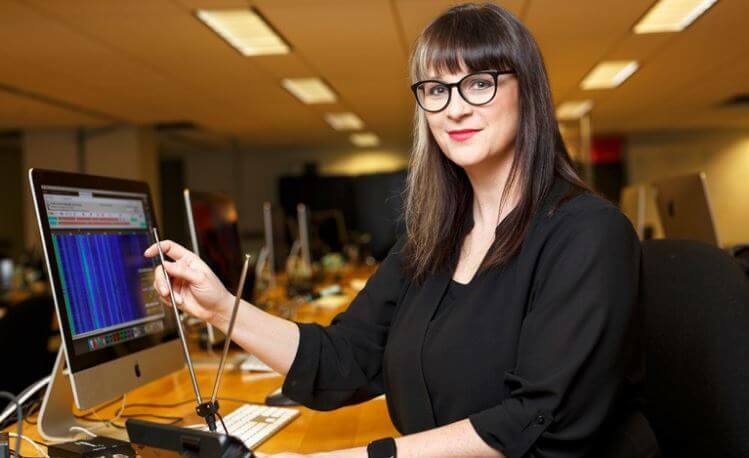 To follow the transmissions it would be also wise to follow Amanda on Twitter, where she is posting the most up to date transmission frequencies. If you prefer a video explanation of the project, YouTube user OfficialSWLchannel has prepared a video which is shown below. Vacuum tubes are not typically found in software defined radios, but this interesting mix of old and new technology by Mirko Pavelski uses one in it's front end. The way it works is that the analogue radio circuit receives a small range of spectrum, and then the tube acts as a mixer, converting that spectrum down into audio frequency range which can be heard by a computer sound card. Simple to build receiver made according to the instructions of Burkhard Kainka : http://www.b-kainka.de/bastel100.htm. I made it with EF80 tube instead EL95 and it works great. It is powered by a 7.4V lithium-ion battery followed by a 7806 stabilizer, so we get 6v for tube heating and there are no problems with 50 Hz hum. Тhe resonant circuit is made of strong coil with 20 turns of 1.5 mm thick wire wound on a PVC tube with 18 mm diameter. At the cold end of the resonant circuit is an antenna coil with two turns. At the output of the radio, I connecт 2 transistor preamplifier and cheap amplifier module in D class. So we get battery powered tube АМ radio. Using the potentiometer we can select between AM or SDR mode of operation. In SDR mode, we need to connect the output of the radio to "line in" in sound card of the computer. Then we use some of the free software for example "SDRadio" from Alberto I2PHD. Тhe receiver has very good frequency stability which drifts less than 1 Hz per minute. Тhis is important if we want to decode DRM signals. In good HF propagation conditions I receive BBC World service DRM radio (3995MHz) with 16dB SNR here in Ohrid (41.1231° N, 20.8016° E). This little radio, with a long wire antenna and good grounding, gives us a lot of fun. Hackaday also recently posted an article about this build. Over on his blog, DXer OH2-2192 was frustrated by lots of local electrical noise showing up on the HF bands on his Airspy + Spyverter SDR receiver. He discovered that the majority of the noise he was seeing was coming from the switch mode power supplies that power the electronic devices used in his setup. Switch mode power supplies are very common in the modern world, with almost every electronic device using one to efficiently convert wall AC into DC power. However, they convert power by rapidly switching on and off, and these on/off square wave pulses cause a lot of RF noise especially on the HF spectrum. Instead of changing to noise free linear regulators which are expensive, very heavy and big, OH2-2192 decided that he'd try creating a Faraday cage shield out of metal mesh to enclose all his switch-mode power supplies. Using a simple AM loop antenna and Airspy's Spectrum Spy software he measured the amount of noise produced by a switch-mode supply placed inside and outside of the cage. The results he saw were very promising with the shielded supply eliminating the noise almost entirely. 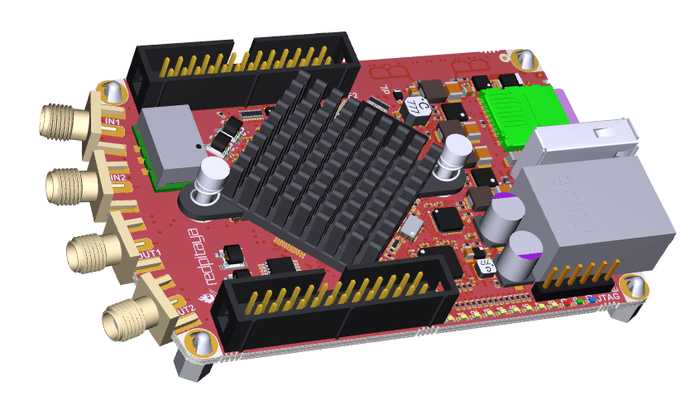 RedPitaya has just announced their next SDR platform, the STEMlab 122.88-16 which is a software defined radio intended to be used as an HF transceiver on the amateur radio bands. The SDR is advertised to cover HF + 6m (50MHz) and includes two 16 bit 50 ohm input ADCs and two 14 bit outputs. Based on the Xililinx Zynq 7020 FPGA running an ARM cortex A9 processor it’s plenty powerful to handle the various modes frequently seen in the amateur bands and then some while supporting an impressive 122.88 MS/s sample rate. This hardware is also fully compatible with the HPSDR software platform which is an open source project for amateur radio SDR operation. While this radio is built with amateur operation in mind, it is still a very capable platform that could be used for experimentation albeit with a more restricted frequency range that what you may be used to with traditional software defined radios. The radio retails for $499 euros and will be available for pre-order from RedPitaya until March 31st of 2019. Over on YouTube user TheGazLab has uploaded a video that reviews the Airspy HF+, and also shows how to use the HF+ with SDR# and WSJT-X in order to create a FT8 monitor. The Airspy HF+ is high dynamic range HF/VHF receiver designed for DXing. In the video TheGazLab demonstrates to us the decoding in real time, and explains the CAT control SDR# plugin that he's using. 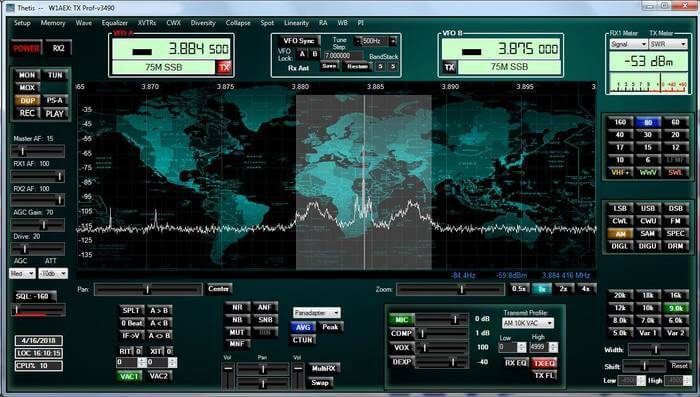 The CAT control plugin when combined with a virtual serial port driver allows the WSJT-X program to automatically tune SDR# to the FT8 frequency selected in WSJT-X. Later in the video he also discusses the SpyServer network which allows SDR# users to connect to remote public Airspy and RTL-SDR units over the internet. He demonstrates connecting to a public server in the UK, and decoding FT8 via the remote server. The video also shows the new SpyServer interface by @zakhttp which nicely lays out the world SpyServer network on a map, making it easy to choose a desired location to listen to. 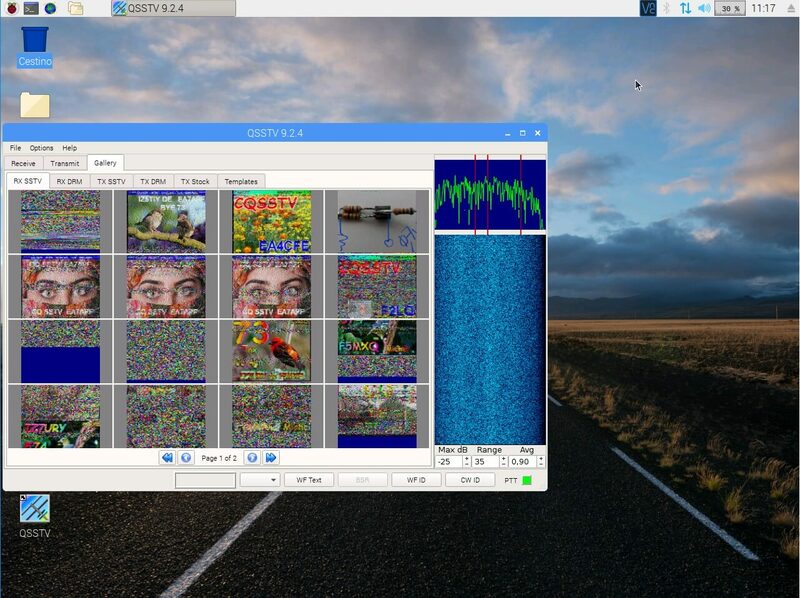 Thank you to Giuseppe (IT9YBG) who has written in to share his tutorial about setting up a direct sampling RTL-SDR V3 based SSTV receiver on a Raspberry Pi. He writes that he uses the receiver to continuously receive images at 14.230 MHz, but with a frequency tweak in the command line code the system could also be used to receive the VHF SSTV images sent by the ISS. In the tutorial he uses the free QSSTV software for decoding. An RTL-SDR together with the CSDR DSP software is used to set up a command line based receiver, which pipes the SSTV audio into a virtual audio sink, and then into QSSTV. The receiver setup procedure is similar to the method used in our RTL-SDR V3 QRP monitoring station tutorial, and is a very nice way of setting up an efficient command line based RTL-SDR audio output.